Rebranding a business to communicate its service better. 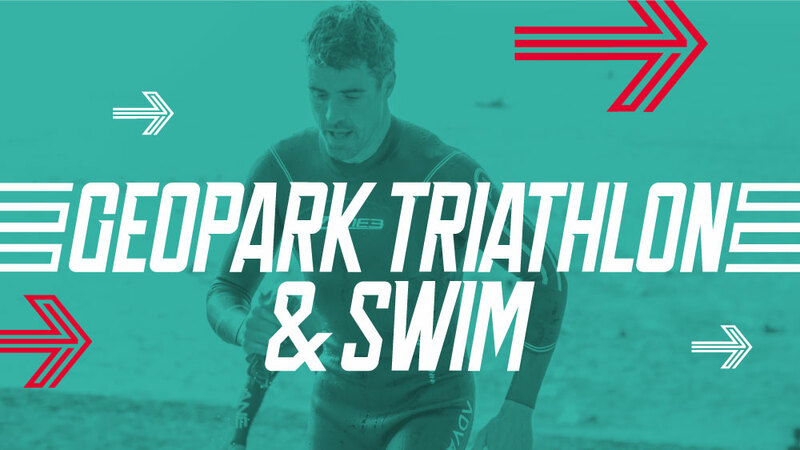 With Triathlons and other long-distance events becoming ever more popular the business South Hams Triathlons wanted to grow and expand their company. The old logo restricted the event company so we suggested coming up with a new company name and identity that could be used to better present their growing business and also offer flexibility and scale. The new business name and typeface instantly set the right tone - bright, modern, energetic and sports focused. 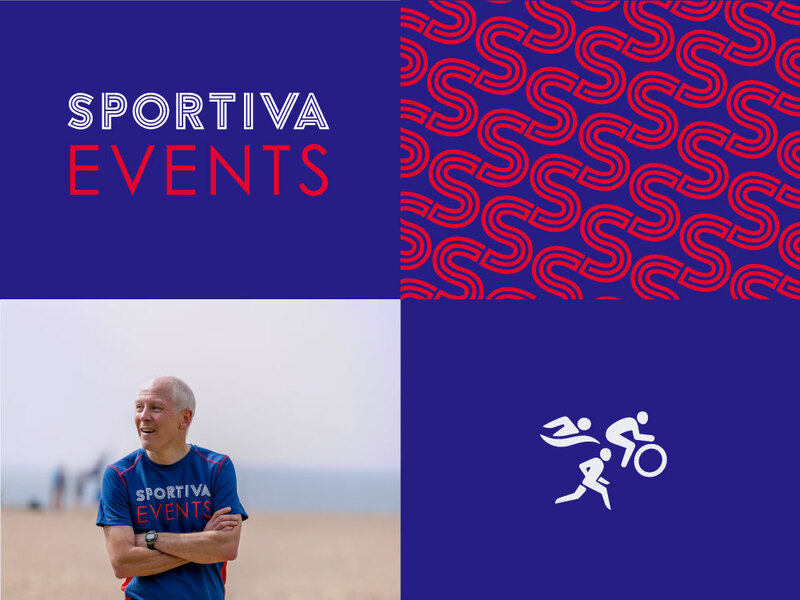 With better graphic design Sportiva have started to increase brand perception, communicate events better and increase awarness. We updated merchandise with a consistent brand design for T-shirts, medals, large format banners, flags and signage. 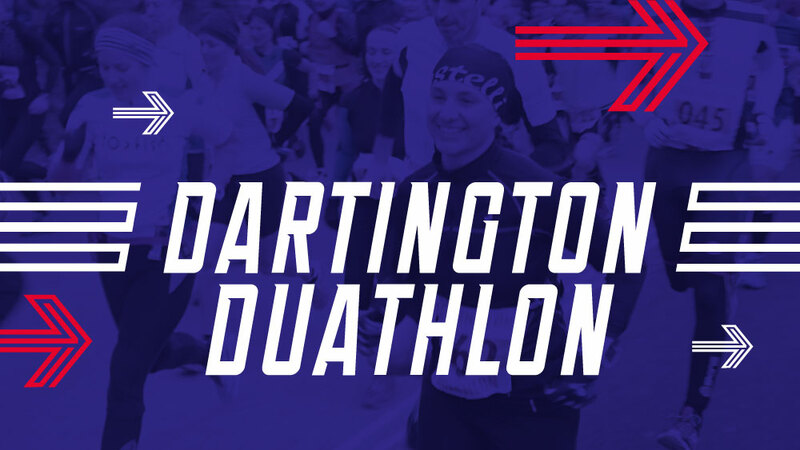 All printed designs could now work together to increase brand awareness on the day of the event. Now all we need is some competitors. We continued to develop a social media style guide to build trust with viewers through a clear branded graphics. 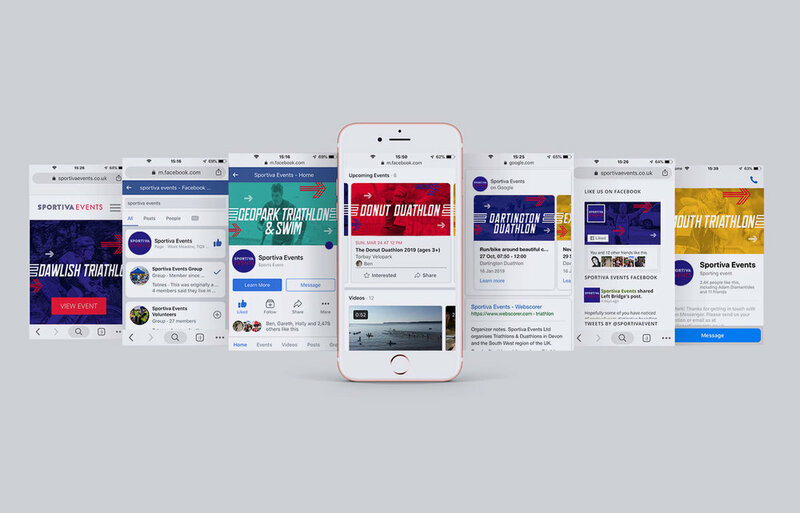 Events could now be graphically branded in advance, using a consistent design style on Facebook and Google reinforced Sportiva Events, created greater awareness and increased signups. We created design assets to update the clients existing Wordpress website and social media channels. We delivered User Experience insights, together with the brand identity kit, logo and photography.